I am honored to be include once again in this lovely journal. A new offering. My poem “The Tower” is included in this year’s Poetry Marathon Anthology! 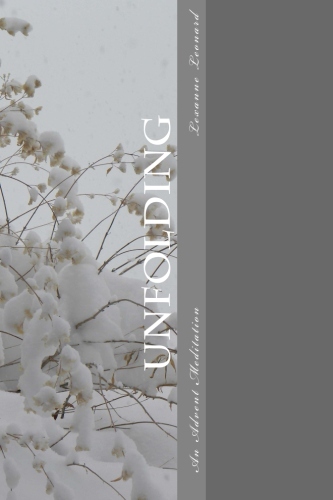 Announcing the publication of Unfolding, An Advent Meditation for the season of Advent 2015. On Amazon.com. Unfolding is a daily devotional for the season of Advent. Beginning with the first Sunday in Advent, Lexanne Leonard brings a gentleness to the days through her offering of scripture, poetry, and prayer, ending on Christmas morning. It is a breath and pause to reconnect with the Divine in these busy days of Advent. Each meditation was written through lectio divina from the lectionary readings for each Sunday of Advent, Cycle C. Every day a piece of the Sunday scripture is expressed through poetry, prayer, and reflection. Also, each day of the week is dedicated to bringing to the forefront compassionate concerns for our world. 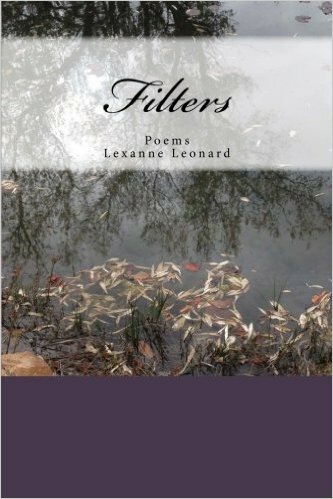 I am so very pleased to announce the publication of my first book of poetry. You can find it at Amazon.com. My poem Permission is included in this second offering from TS Poetry Press and the talented crew at Tweetspeak in their Field Guide series exploring unique and rich methods of reading and writing poetry. 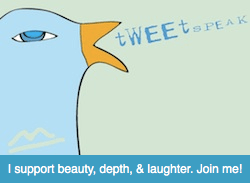 If you are a teacher or simply someone who wants to deepen your craft, this is a worthwhile stop. It is a practical and delightful book that can be adjusted to all ages and experience. I teach first grade and use it in my classroom just as easily as a college professor could find it useful for her class. 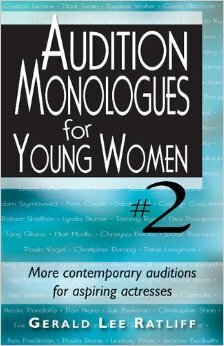 Audition Monologues for Young Women compiled by Gerald Lee Ratliff. My monologue, Gabby, appears on pages 124-125. Both books can be purchased at Amazon. 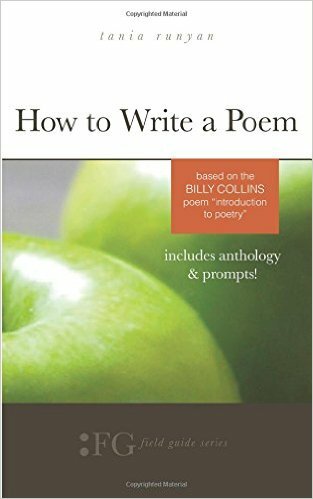 A monologue from my ten-minute play Sheets of Rain is on page 91 in this lovely anthology. In this original monologue, Terri, a gritty and street-wise young woman who works as a waitress at a typical small town diner, remains hopelessly trapped in her mother’s haunting, idealistic dreams of Hollywood stardom. In this stammering strain of pent-up memories, she painfully paints a blistering portrayal of her loneliness…of the grim struggle to wrestle with the negative forces of life and her fate. This simple tale of a young woman’s coming of age raises larger questions about the boundaries of love and the need to look to the future despite all present odds. Terri’s story is an honest and unsparing glimpse of a mother and daughter relationship shattered by the destructive forces of self-sacrifice and self-destruction that cannot be tempered or toned down.